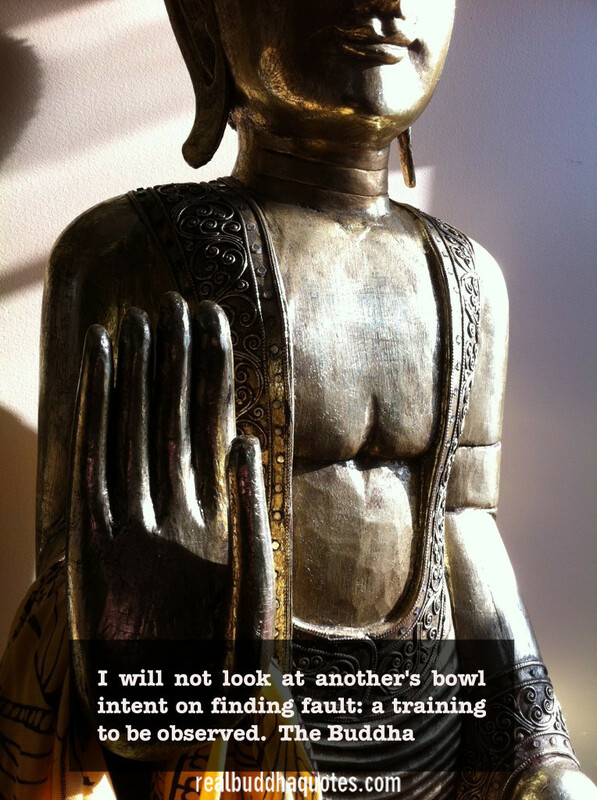 I will not look at another’s bowl intent on finding fault: a training to be observed. The Buddha (from the Vinaya, the Buddha’s code of discipline for monks and nuns). This is a genuine Buddha Quote.